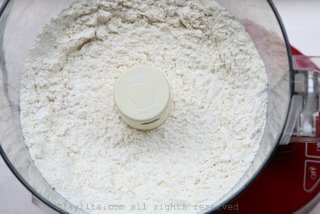 This is my easy recipe for homemade empanada dough for frying. 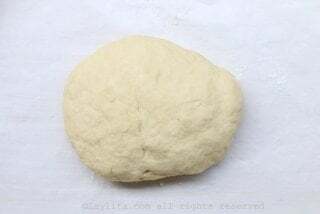 The process to make this empanada dough for frying is very similar to the empanada dough for baking. A few differences are that this dough doesn’t include egg, has a little bit less butter, but adds baking powder and little bit of orange juice. 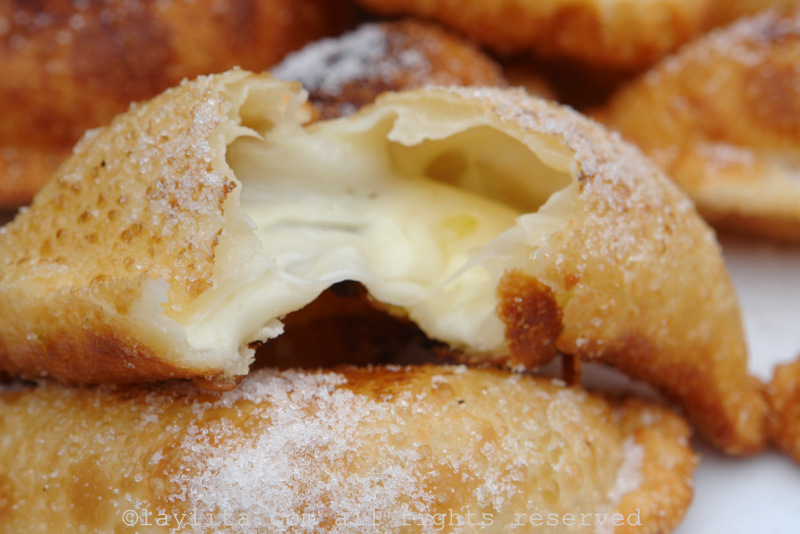 The orange juice gives the dough a nice flavor, while the baking powder give the empanadas that light fluffy texture when you fry them. You can use the regular baking empanada dough and fry it, however I prefer the texture that you get from this variation when making fried empanadas. 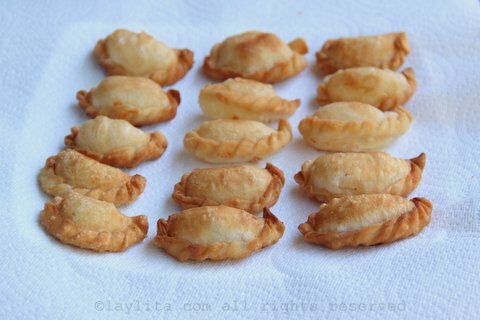 I mainly make this dough to prepare empanadas de viento or fried cheese empanadas, but it can also be used to make any type of fried empanada with the filling of your choice. This is mainly a savory fried empanada dough, though if you want you can add a small amount (~1 tablespoon) of sugar to give the dough a slightly sweeter taste. This will work well with fillings like cheese or cheese and jam/fruit preserves. 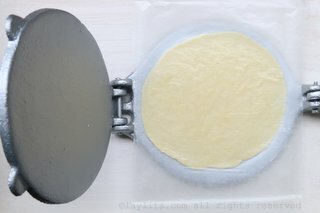 Easy recipe for making homemade empanada dough for frying. 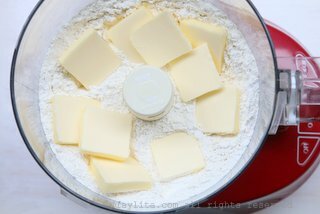 Mix the flour, salt, sugar (if using), and baking powder in a food processor. Add the pieces of butter and pulse until mixed. Add the orange juice and sparkling water – start with ½ cup of water and then add more as needed, pulse and mix until clumps of dough start to form. 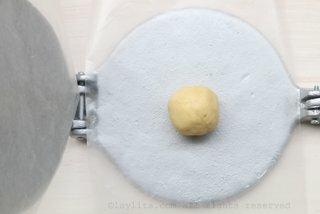 Form a ball with the dough and knead lightly. Place the dough in bowl, coat with small amount of oil, cover and let rest at room temperature for about an hour. To make the empanada discs or rounds, you can either roll out the dough into a thin layer and cut out round disc shapes for empanadas (use round molds or a small plate). 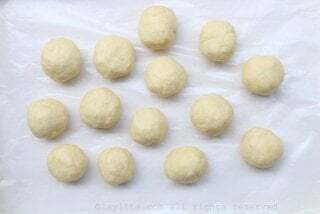 Or you can make several small balls of dough, about 1.5 oz to 2 oz in weight, then use a tortilla press or a rolling pin to roll them out – they don’t need to be perfectly round. It's really important to get the discs very thin since they cook very quickly when you fry them, if after cutting out the round shapes or pressing them with a tortilla press, they are still thick, try rolling each disc a little more until it is very thin. Some people also use a pasta machine to get the dough very thin. 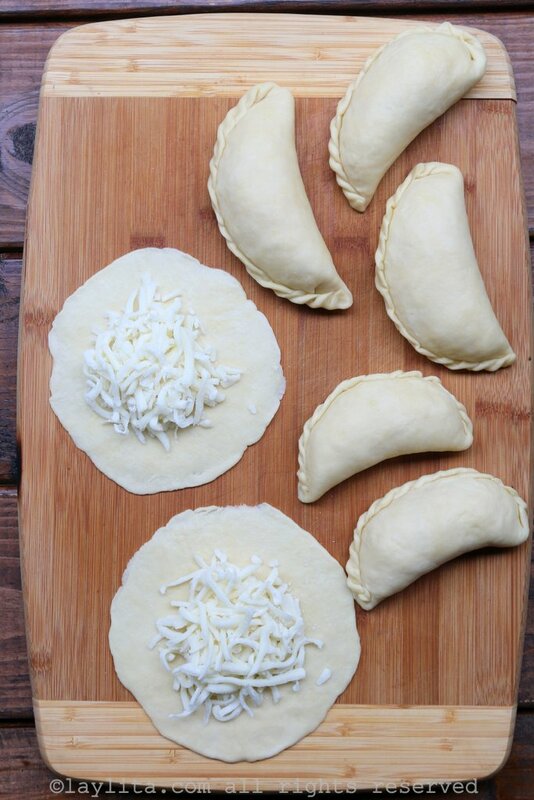 The empanada discs can be used immediately or stored in the refrigerator or freezer to use later. 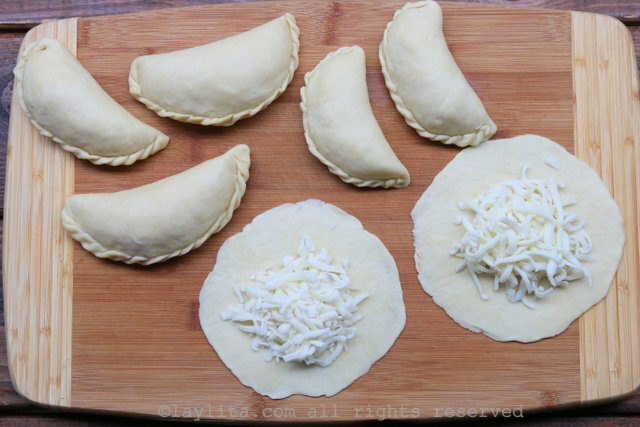 Use a spoon to place your choice of filling on to the center of each empanada disc. 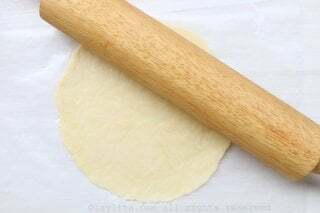 Fold the empanada discs and seal the edges, first pressing gently with your fingers, then use your fingers to gently twist the edges of the empanada. You can also use a fork to press down and seal, or one of those empanada molds if you have one. If you have time, I recommend chilling the empanadas for 30 minutes to an hour (or longer if you are making them ahead of time), before frying them. The empanadas can be fried either a deep fryer or a simple frying pan, just make sure to have enough oil to cover at least half the empanada if using a pan. Heat the oil, it should bubble when you add the empanadas to the oil, and fry each empanada until they are golden on each side. Don’t overcrowd the pan and if any of them break/leak remove it immediately from the oil. Place the fried empanadas on paper towels to drain any extra oil. I moved to Tn. I miss P.R. food but love to cook. I’m making this tonight! Thank you! This dough was so easy to work with. I was so happy with my very first homemade empanadas. I made 16. I used the tortilla press. I used one cup of whole wheat flour, and 2 cups of white spelt. I had no orange juice – used all water, but I’ll use orange juice next time – love that idea. I filled them with a mixture of mashed sweet potato, sautéed greens, garlic, and crushed walnuts. Delicious. Again, thanks so much for sharing your recipe! I am originally from Ecuador but have lived in England for a long time. I love your site because it brings memories of the good things of our beautiful country. I have tried to cook Ecuadorian meals as often as I can -my husband and children love them and your recipes have always been successful. I am going to make empanadas but I am confused by the quantities -cups come in so many sizes! Do you have an equivalent in ounces or grams please? Also the flour -presumably you mean plain and not self-rising flour? Hi Susana – When I use cups as a measurement I’m referring to measuring cups (the kind used for measuring baking ingredients). 1 cup of all purpose flour is about 130 grams. I made your recipe and my family loved it. I made them with refried beans and cheese and they were delicious. My wife really commented on the flakeyness of the crust and the incredible flavor. It was my first time to make empanadas and will be making them with your recipe from here on out. Hi there, how many empanadas will this recipe make? I am making empanadas for my son’s birthday this weekend per his request, he loves them! So do I!!! Hi Vivian – It will make 12-15 medium size or 20-25 small empanadas. Hi…I want to try the recipe but the problem is I don’t have orange juice..is it ok if I don’t have to put it? Or else what will be the best substitute for it? You can use additional water in place of the orange juice if you don’t have any. I used lemon juice it came out amazing. The citrus acid is in both lemon and oranges, to be honest I thing any acidic fruit will work. 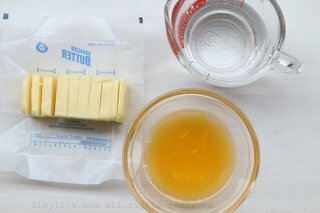 Should the butter be salted or unsalted? Hi: It’s been awhile since I’ve had empanadas and I have just rendered some nice lard so I’m surfing the web and I’ve read some of your material. It is very interesting and helpful. But I’m curious. How come you don’t use lard for the empanadas and why don’t you fry them in lard when frying. Hi Dave – One of the reasons is that it’s hard to find good quality lard in the US, and yes, I really should make my own, but just don’t enough time these days. Also, I like to make a large batch of dough and usually make at least some the empanadas meatless for friends that don’t eat meat. 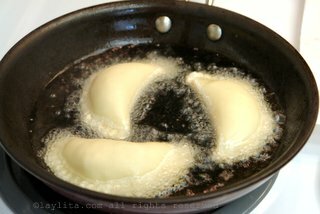 Most of the time I use the dough for frying to make Ecuadorian empanadas de viento (filled with cheese), and those don’t have lard in the dough (it changes the flavor) and are fried in oil. We make empanadillas a lot (my husband is from Puerto Rico), and we normally use the prepackaged variety of discos you find in the grocery stores (Goya and others made in Miami, FL). However, my daughter was diagnosed with an egg and soy allergy so I went on the hunt for a dough I could make myself. When my husband bit into this empanadilla, he said this is what it taste like in Puerto Rico. He was quite pleased. Just in case this might help anyone else, I used regular water (cold) and I added a bit of sazon (Badia brand which has no MSG). I pulled off 1.3 oz pieces of dough (slightly smaller than a golf ball) and first made it into a ball. I then placed it on parchment paper. I put another piece of parchment paper over the top and then pressed down with a plate. I then used my rolling pin to roll these out to about 6 inches (my first were smaller and they were too thick). I got 18 discos. Thank you so much for a wonderful recipe! I don’t have sparkling water so is there anything I can use to substitute? You can also use plain still water. I am argentine but never try to make empanadas for two reasons, I don’t know how to bake anything and when I go to Argentina there topo many places that make an even deliver them to your place warm. No one makes empanadas at home anymore. But I am in the USA and I miss them terribly. I am encourage by your recipe and direction to try to make them by hand since I don ‘t have a processor or mixer or anything. I like them fried -they taste so much better- should I paint with egg yolk before I fry them? Which oil is best? Hi Nel – You don’t need to paint them with egg yolk if you are frying them (that’s just for baking them). I usually fry them in canola, peanut or sunflower oil. I dont have a food processor is there an alternative? Hi Marie – You can make the dough by hand also, just add the ingredients in the same order as you would for the food processor method. You might need a few additional tablespoons of sparkling water. Laylita you are the best!! I’m from Guayaquil and live in California. You make such a good ecuadorian food and for me it’s awesome to have found your website! Keep it up! I always look forward your next recipes! Hi Jacque – You can use (more) water if you don’t have OJ – the OJ gives the dough a subtle citrus taste but the dough will still be good without it . I have made empanada’s countless times (my mother is Puerto Rican) but would always just take the easy way out and buy the discs already made. I thought it would be too involved to make them myself. Until last night when I went to the store and they didn’t have them. 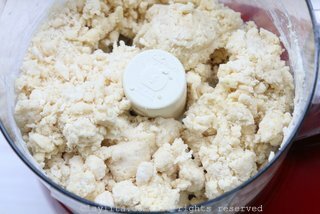 So I searched the internet for a doable recipe without lard or shortening. I came upon your blog and made them. I wasn’t sure how they would come out. Oh my goodness am I so glad I took a chance! They were delicious and sooooooo easy!!!! I will be making these from scratch from now on! Thank you for your site. Puerto Rican cuisine doesn’t have empanadas. 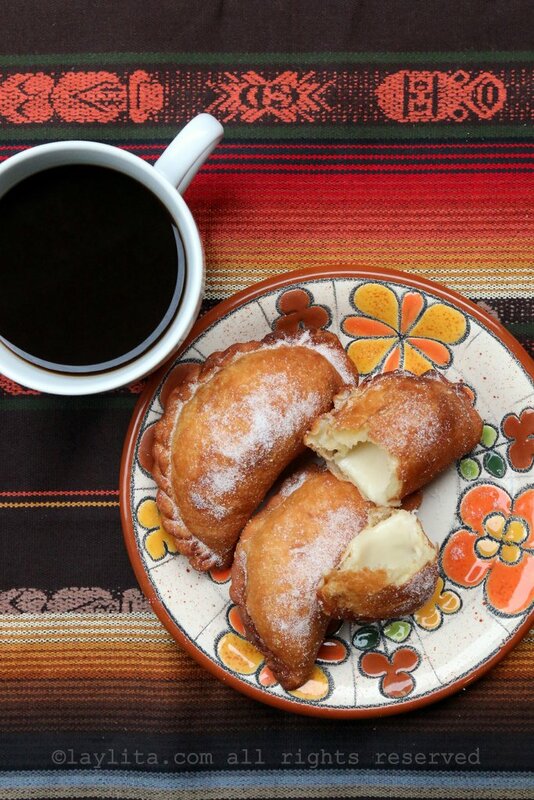 What you’re used to is pastelillos, which taste completely different in my opinion. I am half Puerto Rican and yes we do have empanadas. My grandma was born and grew up there and makes empanadas and calls them empanadas. She learned from her grandmother who also calls them empanadas. They can be made in many different ways. Some countries make them to be desserts and Puerto Ricans tend to make them with meat inside. Check your facts hun. Did you mean Pastellitos??? Scrumptious, popular in Argentina, but totally different. Gracias Laylita por compartir tus recetas se ven muy sabrosas. just now made this, THANKS!! Everything was great! I am in the middle of eating empanadas I made with this dough recipe. They turned out fantastic! Thank you so much for sharing. I can’t wait to try more of your recipies. im from dominican republic and my mother makes these different. I don’t have her recipe but she’s the type that doesn’t measure she jus throws it in the bowl and works with it, but I liked this recipe I tried it and it was good. I made beef empanadas, chesse. and pork for a party we recently had im going to use this one for myself since my mother won’t share hers lol! 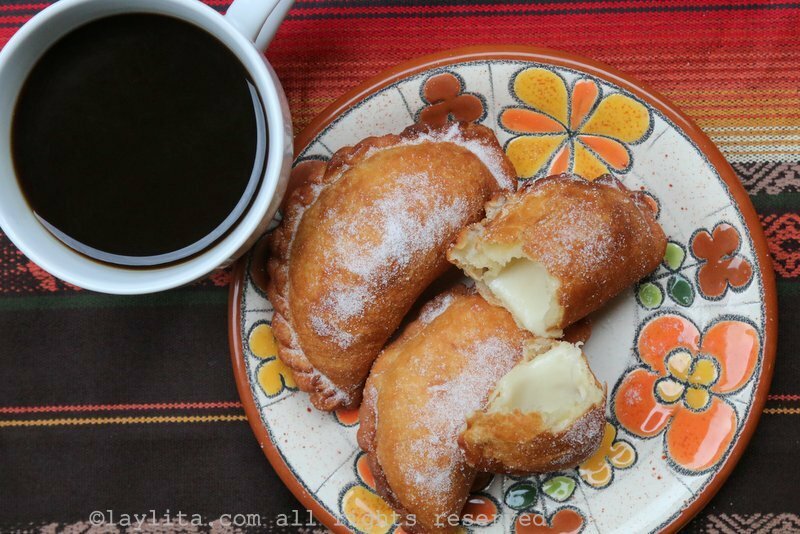 this recipe is great, i’ve been trying to make the dough for empanadas for years, i wish my grandmother was able to show me before she passed but this recipe comes out tasting just like hers. I grew up here in the U.S. but I was born in Ecuador. 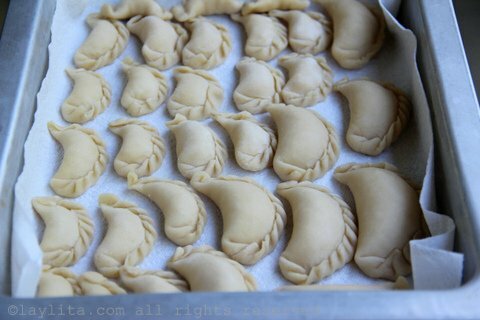 I remember the empanadas my mother and grandmother made only I did not have a recipe until I came across your website. My daughter and I made the cheese and onion empanadas using this recipe and they came out great. They were very tasty! The only issue was not knowing how thin to roll the dough ( how many discs in this recipe ), so they came out a little thick. There are other recipes that I want to try very soon. Thank you for offering this website, it is awesome. You do a great job! Thank you, Gretchen, despite all rivalry between Ecuador and Peru I think that there a lot of similarities (in food, customs, etc). Your aji is going to be so good with fresh tree tomatoes! Thanks for this! This is probably a lot more similar to empanadas here than most recipes I have found. I bought tomates del arbol today to try your aji. Sachatomate they are also called here in Peru. Again, lovely site.